Gold Eagle Contracting, LLC, a family owned business. In 1985, Glenn and Colette Worsman of Meredith, New Hampshire founded a business in the fueling system industry. At that time, the NH Department of Environmental Services began strict enforcement of new regulations which mandated replacement of old commercial fuel tanks by the end of 2000. There was a lot of work to be done and Gold Eagle Contracting was there to meet the need. During these years the company grew, as did its reputation for quality work at a fair price. With the passing of the DES 2000 deadline came a decrease in the need for fuel tank services. Gold Eagle Contracting expanded its focus to include excavation and site work. 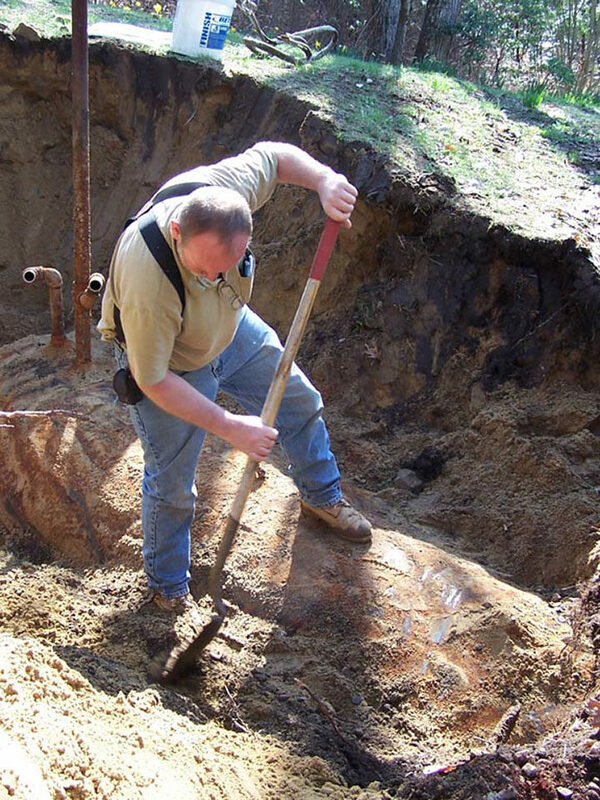 In addition to tank work, they began excavation of foundations, lot clearing, installation and repair of both water and septic systems. 2008 brought with it additional regulations and we have adapted our services to meet the varied needs of our customers. Today Gold Eagle Contracting boasts a fleet of trucks serving New Hampshire and Northern Massachusetts. Through all the changes and growth, one thing has remained the same; Gold Eagle Contracting is still a family owned and operated business. Colette still manages the office while Glenn is out with the team on job sites. It is this degree of personal involvement and pride in their business that sets Gold Eagle Contracting apart from the rest. Sometimes the best tool for the job is a shovel; Glenn isn’t afraid to get dirty.